We all shop it is a part of life but what if I said you could get paid while shopping, would that make you smile? Well it is true you CAN get paid while you are shopping and I am here to tell you all about this amazing App available to iPhone, iPad and iPod Touch devices with iOS 5.0 or later called Field Agent! Yes you read that right you can make money with this app while you shop. Field Agent is celebrating their 2nd birthday and have already paid out over $500,000.00 to their agents since their launch back in October of 2011. They are the first iPhone app that pays their users cash and jobs are available from coast-to-coast at many stores and restaurants such as Jean Coutu, Toys R Us, Walmart and many more! Also from now until November 17, 2013 every job completed by an agent will earn them an entry into a draw for a $500.00 Walmart Gift Card. I don’t think it could get any better than being paid and having the chance to win a $500.00 gift card right before the holidays! Is this for real? How do I know I’ll get paid? YES this is for real. The Internet is filled with sites that make false promises and pay points or pennies instead of real money. Field Agent is both real and we pay in real dollars. In fact, most jobs pay between $2 and $8. We are backed by retailers where you shop and brands you trust who need us to provide information fast and cost effectively. Try us out and you will quickly learn how real we are. Remember that your Field Agent Account will be credited the money you earn. The money in that account never expires and is 100% safe. To withdraw the money, you need to transfer it to your PayPal account. When I complete a job, where is my money and how do I get it? As soon as you complete a job, your earnings are shown in your Field Agent Account as a memo posting. If the information you submitted for your job is accurate, the memo posting will clear and reflect actual funds within 48 hours. At that point, you can keep your funds safely in your Field Agent Account, or they can be transferred to a PayPal account. From PayPal, you can deposit the funds into your bank account, shop online or pay bills. Note that if you do not have a PayPal Account, that is no problem. You can enter an e-mail address and we will send you a payment e-mail through PayPal. It will contain a link to PayPal where you collect your funds. What is my Agent Rep Score and how does it affect me? Your Agent Rep Score is a reflection of your reliability and accuracy when completing jobs. All agents start at 85/100. You gain points by completing jobs accurately and quickly. You lose points by failing to complete jobs within the time limit, submitting inaccurate results or blatant abuse of the system. Agents with a high Rep Score have the first shot at new jobs. Positive impact on ranking: % Accepted vs. Completed. For each job accepted and completed with good results, the Agent receives +1 point. Do I have to be able to drive to do jobs for Field Agent? No, you do not have to be able to drive to participate. In fact, many Field Agent jobs are surveys that can be done from any location. Other jobs will ask you specific questions about your home or items in your pantry. Driving certainly gives you access to more jobs, but you can still make money with Field Agent if you cannot drive. So if you have an iPhone, iPad or iPod Touch and you would like to get paid to perform really simple tasks like taking a photo or filling out a quick survey you are going to want to download the FREE Field Agent App. Once downloaded you simply search for jobs in your area, complete them, and earn real cash. Now I have an extra special treat for all my wonderful readers, Field Agent has generously donated two (2) $100.00 Walmart Gift Cards for me to give away here on my blog to two lucky ECM readers! Please ensure you read the instructions for the entry options very carefully to ensure you complete them properly and are not disqualified. 2. You must complete all mandatory entry options in order to qualify for the giveaway, non-mandatory entry options will open up once you complete your mandatory entry options and you can then choose to complete as little or as many of the non-mandatory entry options as you choose to gain extra entries into the draw. 3. Contest will begin on October 24, 2013 and will close on November 24, 2013 at 11:59PM EST, two potential winners will then be drawn from all eligible entries and notified by email. Winners will have 24 hours to respond to their notification of being drawn as a potential winner, if they fail to respond within the time allotted new potential winners will be drawn. 4. Any entrant caught not completing entries as per their instructions or attempting to enter using multiple email addresses will be disqualified and all entries void, so please read instructions and follow the rules! Disclosure: This is a sponsored post for which I was compensated for by Field Agent Canada. Even though I was compensated for this post I always give my honest opinions, findings, beliefs, or experiences. The views and opinions expressed in this post are purely my own based on my research and experiences. Any product claim, statistic, quote or other representation about a product or service should be verified with the manufacturer, company, provider or party in question. I would use it for Christmas presents .. I would spend a Walmart card on groceries. I would buy some groceries and start my christmas gifts. I love earning money shopping, will help make Christmas a little more special. Lots and lots of groceries….to be used with my coupons! 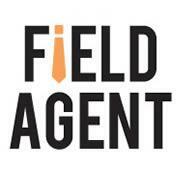 I love Field Agent! I’ve been using the app for a few months now and complete jobs when there is one where I will be, it’s fantastic! If I won I’d use it for grocery shopping/Christmas shopping. I would use to stock up on groceries. Thank You! If I was lucky enough to actually win something like a $100 Walmart gift card I’d have to say that I would probably spend it on food and my grandkids but if I was able to find a few good deals I might splurge on something for myself. I would use the gift card on groceries and/or to start buying Christmas presents. We usually pick one to two children off the Giving Tree (for xmas) and this would help out with the costs. If I was to win a 100.00 gc for walmart, I would spend it on maybe something for myself. I never buy make-up and i think that 100.00 would be a great start! I would love to tuck this away for Christmas shopping! I have started making gift baskets for Christmas for all the ladies in my family, I would use it to add some extra special items to their baskets. I’d give it to my youngest grandson for a Christmas gift. 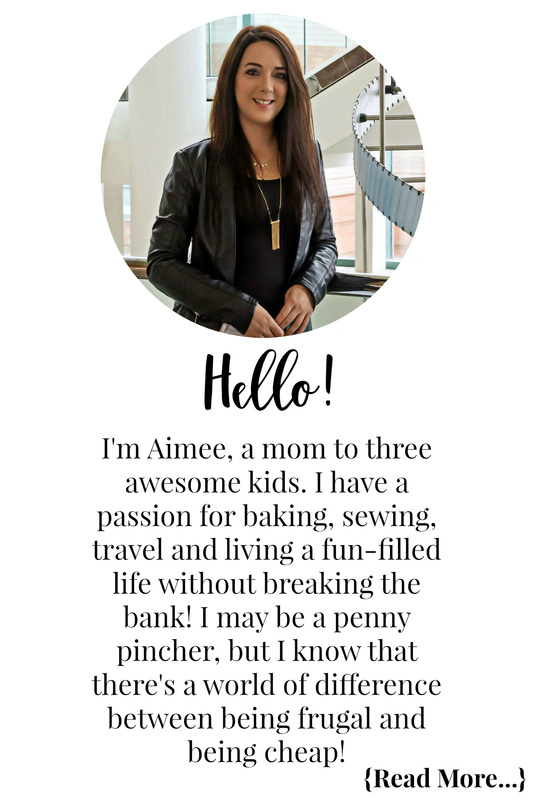 I would put a $100 walmart card towards groceries and stocking stuffers! I would use toward Christmas gifts for the kids. I would use this to buy Christmas gifts. I would use the $100.00 for Christmas shopping. I would definitely use for groceries and Christmas presents! I would use it towards groceries and christmas presents too. I’d spend it on Christmas gifts for my niece & nephew! I would buy as much of Downey Unstopables as I could. Love the stuff! I would use for Groceries…times are tight! I would use the $100 gift card to buy Christmas gifts for my kids. I would splurge and buy some new clothes for myself!! I would spend it on my boys maybe a few toys they been asking for ! I would spend it on a new coat for my DH! I would spend it on treats for Christmas at my family’s home! If I won a $100 gift card to Walmart (which is the store I shop most at) I would use that to help pay for Christmas stuff for my 3 young children aged 3,16months and 5 months!! there are so many thing i would do..make sure my loved ones would get what they needs..